The way people choose to live is a kind of art. Certainly a pure form of self-expression. Lifestyle choices are as exciting to Munna as are the countless furnishings possibilities of a space to live in. This is why some places appeal to our senses whereas others don´t: exploring them is like calling out a memory of scents, colours, shapes and sensations as intimate and personal as an erstwhile pleasure. Places are themselves a fine evocation of a certain manner, a kind of way on being and living.  Established in 2008 in Oporto,Portugal, Munna is a furniture brand specialized in Upholstery. Munna was created to be part of these athmospheres, with their appeal to elegance, uniqueness and freedom. The pieces result from the combination of traditional techniques and creative innovation. Portuguese experts, among craftsman, designers and joiners, who are committed to deliver only the highest quality, set out to develop armchairs, loveseats, sofas, ottomans and screens that never loose their power of amazement and allure. MUNNA is keen on becoming an international reference for Design. Our products are born through the blend of productive tradition and creative innovation, highly committed to quality and inspired by our profound cultural heritage. Timeless is what we aim for. Ageless design, traditional production. Emotive. Make a promise and live up to it! Challenging every rule, every day. We are keen on becoming an international reference of design. Optimist. We know that art overcomes any obstacle, for talent is where true value relies. 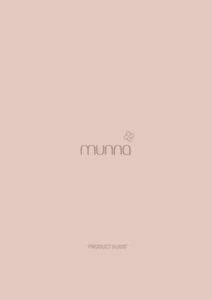 NEED MORE MUNNA INFORMATION ? Please Call Us Or Email Us For Product Quotations Or Queries. Da Vinci Lifestyle’s Contracts Division Leverages On Stellar Relationships With Over 150 International Contemporary & Designer Brands To Fashion Furniture Brands Around The Globe. With An Extensive Range Of Products From Furniture, Lighting, Kitchens, Office Systems, Bath & Sanitary, To Flooring, Decoratives & Materials. Our Contracts Team Offers Creative And Bespoke Solutions To Briefs To Manage The Process From Conceptualization To Completion. Our Logistics Networks Worldwide Ensures Deliveries And Installations Are Kept Within Timeline Requirements That Are Crucial For Architects, Interior Designers And Property Owners For Residential, Commercial And Hospitality Projects. Register To Access Our Contracts Library Of More Than 150 Well-Known Furniture Brands From Europe And America. Get Updated On The Latest Product Releases, High Resolution Catalogs, Material Samples, And Technical Sheets. 100 Orchard Road #01-01 Da Vinci Lifestyle Concorde Hotel, Singapore 238840.